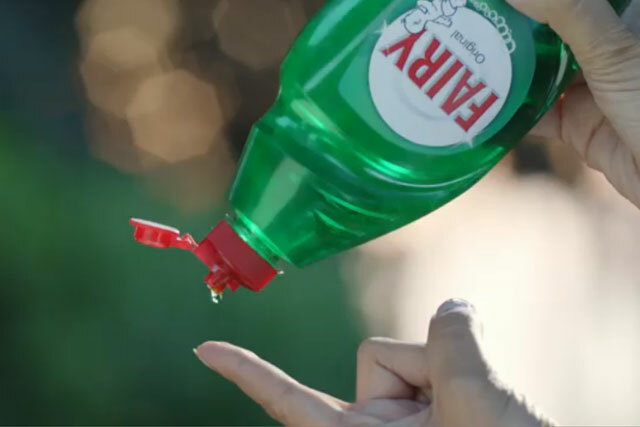 Procter & Gamble (P&G) is dialling up its marketing efforts for Fairy Liquid against rival Unilever's Persil, following a victory ruling from the Advertising Standards Authority (ASA). New edits of Fairy’s TV, print and digital ads are being created to include endplates demonstrating the brand’s "2x longer lasting than the next best selling brand" claim. This month the ASA ruled against a complaint from Robert McBride Ltd, which owns the licence to market Unilever’s Persil in the UK, stating it was not misleading. The ad stated: "Generations have trusted Fairy’s cleaning power because it lasts a long, long time. "And today it lasts twice as long as the next best selling brand. That’s Fairyconomy." A spokesman for P&G said: "We’re delighted with the ASA ruling. We had absolute faith in the science which clearly shows Fairy lasts twice as long as Persil and this ruling puts an end to any debate about this. "Following the ruling, we’re dialing up our marketing and communications around Fairy and the compelling value claim we have behind it. "The ‘lasts twice as long’ marketing programme on Fairyconomy is a great example of how we are seeking to reframe value on our brands for people, to very clearly communicate the value we are providing for people against alternatives available. "We have absolute faith in our science and the performance of our products and we want to show everyone just why they should be choosing P&G brands."